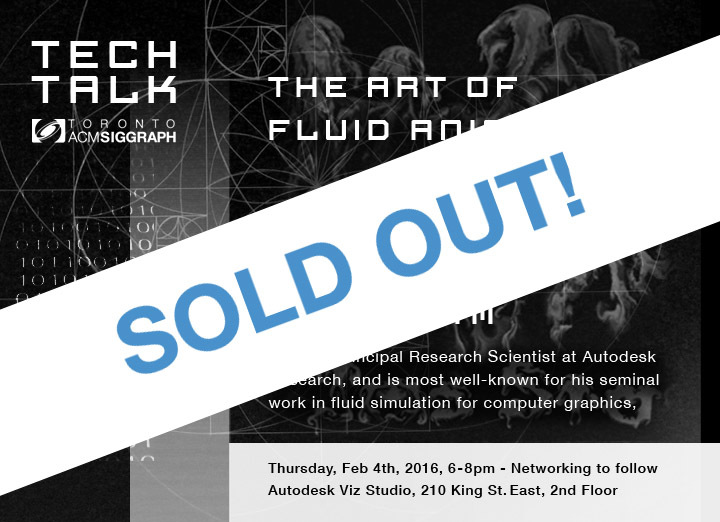 Continuing with the theme of fluid animation for this year’s Tech Talks, the Toronto ACM SIGGRAPH Chapter is proud to start our 2016 event lineup hosting a gentleman who needs no introduction (but we’ll give one anyway! J): Jos Stam. ‹ Review, Raffles, Toys… Holiday Fun!